(VINCENNES) - Vincennes police need your help finding a missing person. 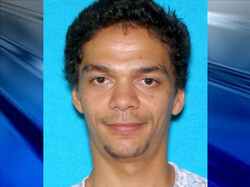 Aaron Howard was last seen March 8 at his house on Wabash Avenue in Vincennes. Officials say he suffers from schizophrenia and mild mental illness. He is known to travel on foot and often goes to Hart Street Hucks and Tobacco Store and area libraries. If you know where he may be, please call police.